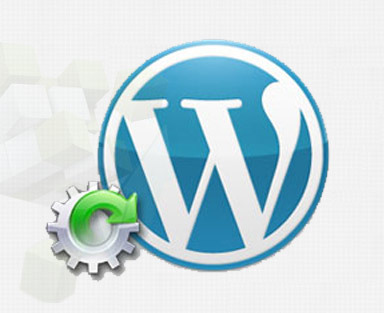 Adaptative, as a leading web development company offers most trailblazing WordPress development services & solutions. Though we specialize in a wide range of Content Management Systems, we have an entire team dedicated to WordPress web development that takes pride in building highly dynamic websites which are highly capable and feature-rich and aim at offering you with better brand differentiation and Return on Investment (ROI). WordPress is an open source content management system which works remarkably well both for the blogs and dynamic websites. It is one of the most popular CMS platforms and can be utilized in building various different kinds of websites whether you want a promotional site or robust resource site; or you need a purely fresh site built from the scratch or a simpler customized solution, WP is always the answer. As it is easier and more flexible platform, it saves a lot of time and money and proves to be one of the favorite of the developers as well as the users. Adaptative offers every kind of development solutions whether you are looking for WordPress theme development or your need is WordPress plugin development, you can always rely on us for your requirement. Having worked for almost every business type of every size and shape, we have a versatile experience. We essentially work in collaboration of our developer and designer teams as well as partner you in the entire process. We don't just transform your idea or vision into a website we work together in the transformation not only to keep complete transparency but also to let you see your dream growing into a real business. Here we offer Enterprise level WordPress design and development solutions. Our team of WordPress experts is capable of building every kind of WP website and understands your enterprise needs and blend them with your website seamlessly. This caters to the need of individuals. Whether you are new to join WordPress or planning to migrate from other blogging channels like Blogger, Blog.com, TypePad or LiveJournal or have already been using WP but now look forward to self host your WP blog, our team of WordPress plugin developers and WordPress website designers and web developers are always there to assist you. Adaptative takes pride in offering a really versatile and varied CMS services and solutions. Apart from developing and designing from the scratch we also offer customized solutions with our dedicated team of WordPress customization services. So whether you are looking for custom WordPress theme development or overall customized solution, we have it just for you.